to the Elwha River. 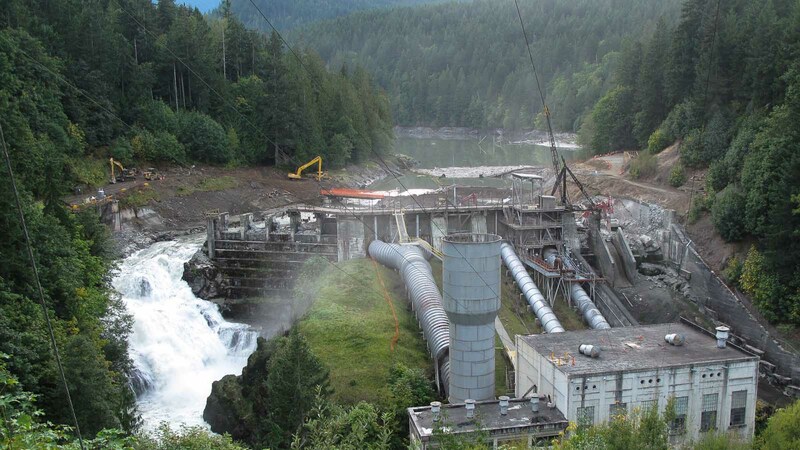 But will the salmon come home? deep within Olympic National Park. 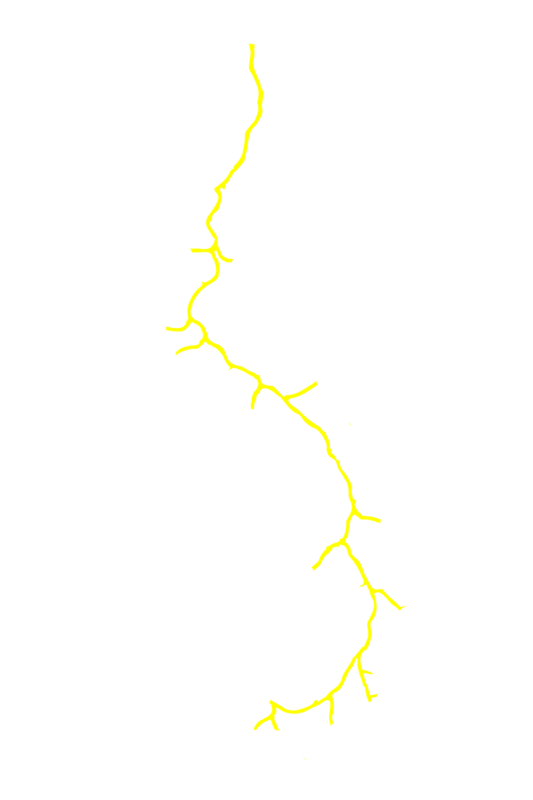 It cuts through the mountains for forty-five miles before meeting the Strait of Juan de Fuca. The Klallam people have lived on the northern coast of the Olympic Peninsula since time immemorial. 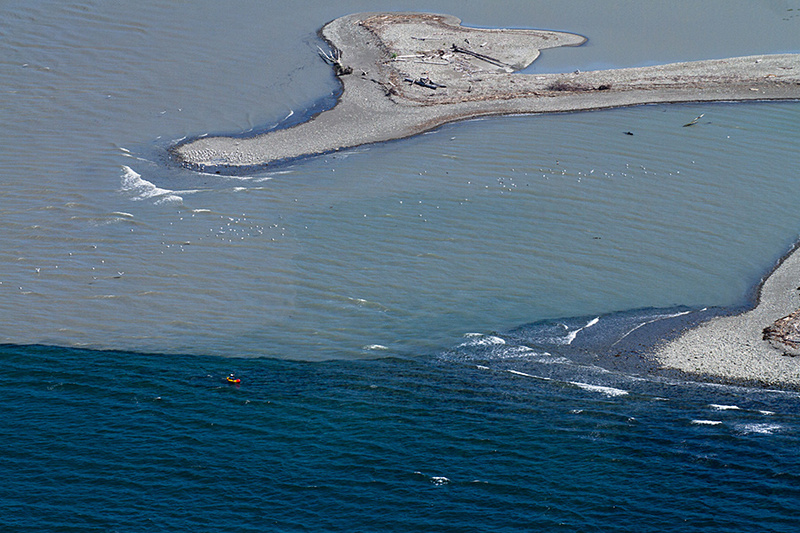 Today, the Native American tribe has a reservation at the mouth of the Elwha River. 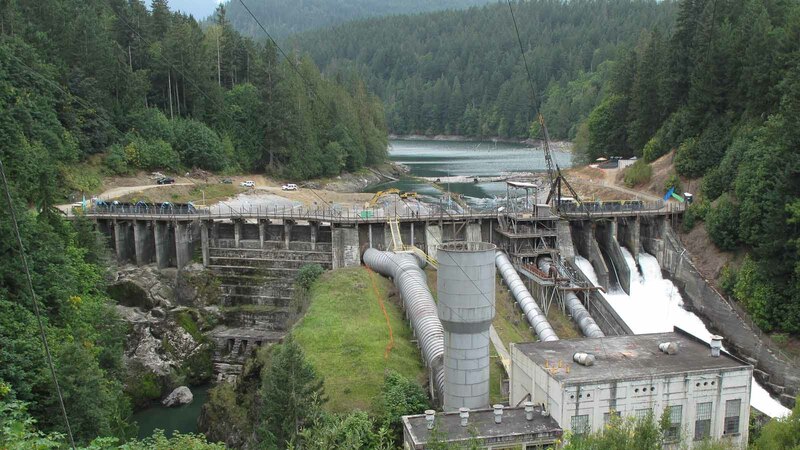 Salmon play a key role in Klallam life. The fish provide a source of food and income, but they also play an important role in traditional ceremonial practices. 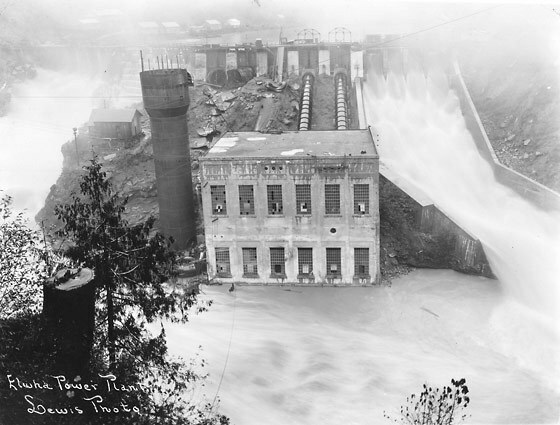 Early in the 20th century, two hydroelectric dams were built on the Elwha River. 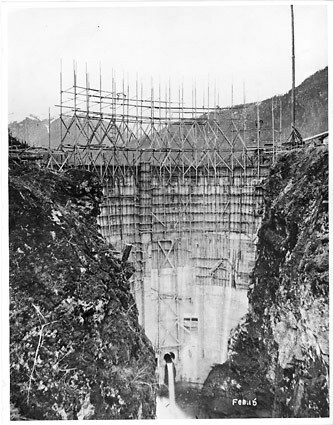 Thomas Aldwell, a Canadian entrepreneur, started construction on Elwha Dam in 1910. 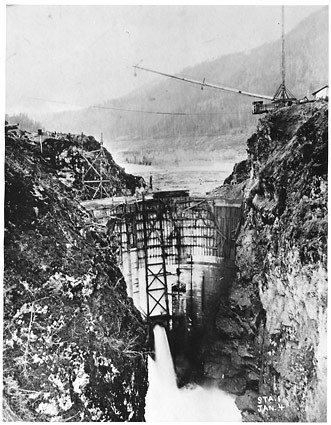 In 1927, Glines Canyon Dam was finished twelve miles upstream. 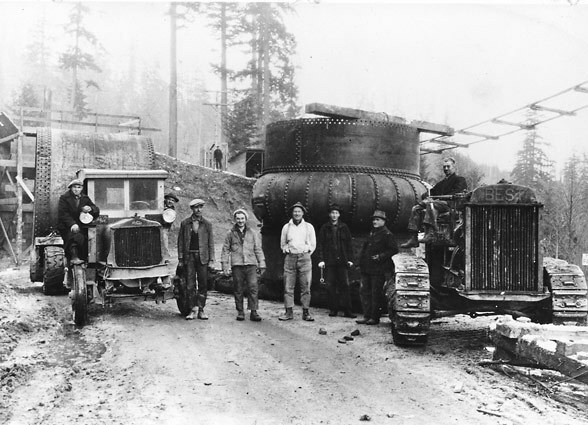 For much of the 20th century, logging was the biggest economy on the Olympic Peninsula. 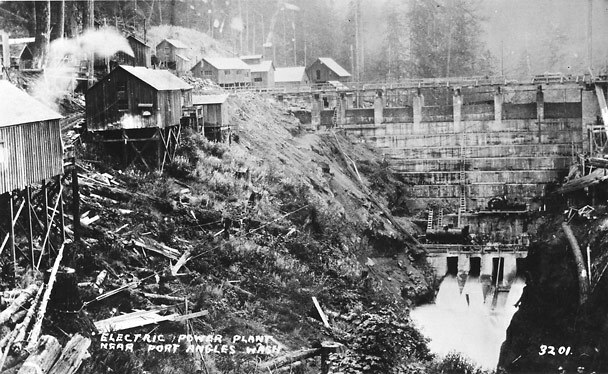 The Elwha River dams provided the electricity that powered the papers mills in nearby Port Angeles. 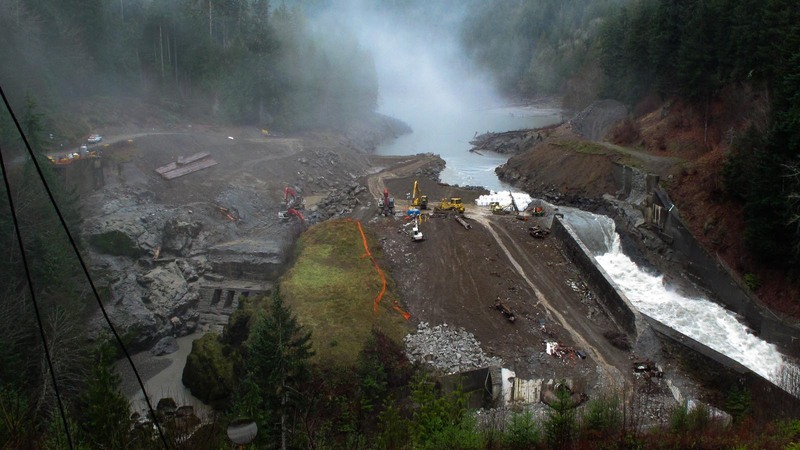 The economy boomed, but the salmon runs nearly went extinct. 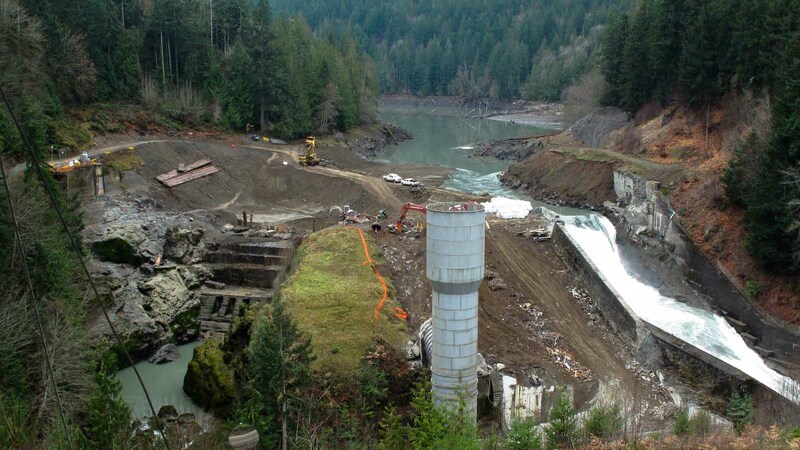 The dams were built without fish ladders, so salmon couldn’t get past. 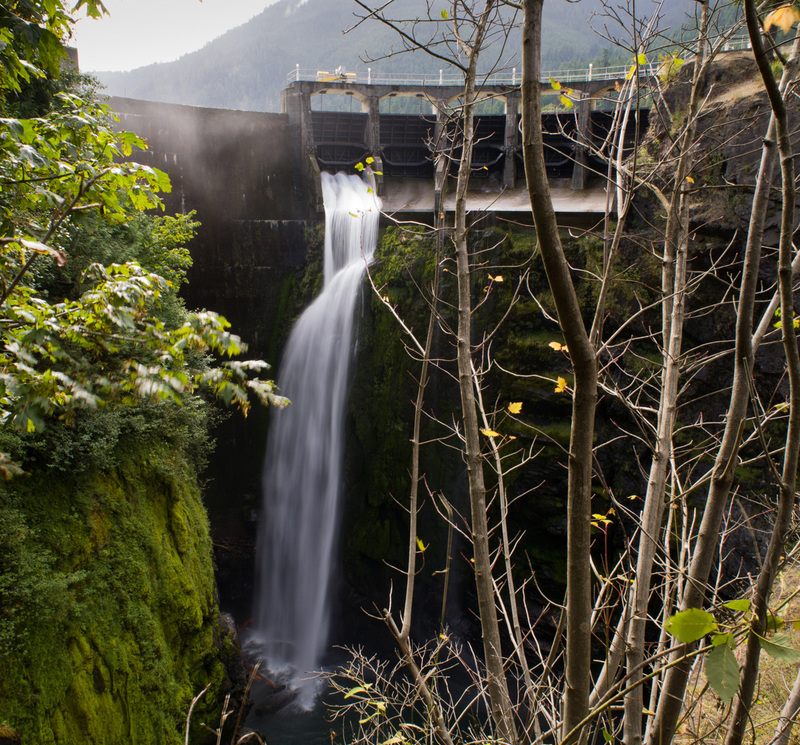 Elwha Dam was built only five miles from the river’s mouth, leaving very little habitat for salmon to spawn. 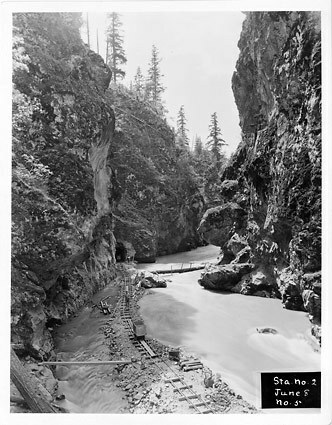 In 1939, most of the Elwha River watershed became a part of Olympic National Park. 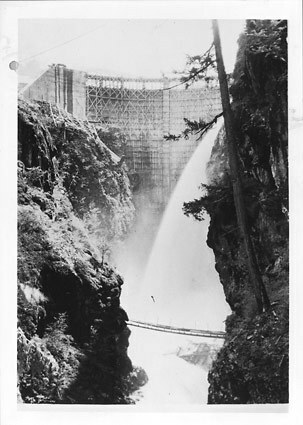 Even though Glines Canyon Dam was privately owned, it was now surrounded by public land. 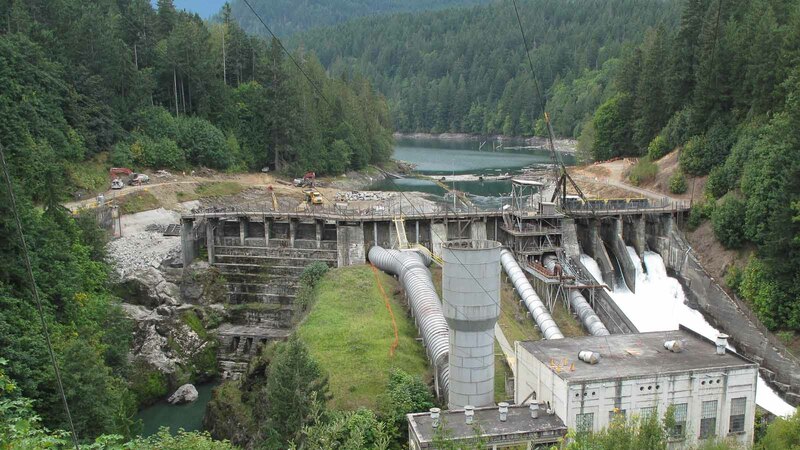 The Lower Elwha Klallam, along with environmental groups, had been fighting to tear down the dams since the 1960s. 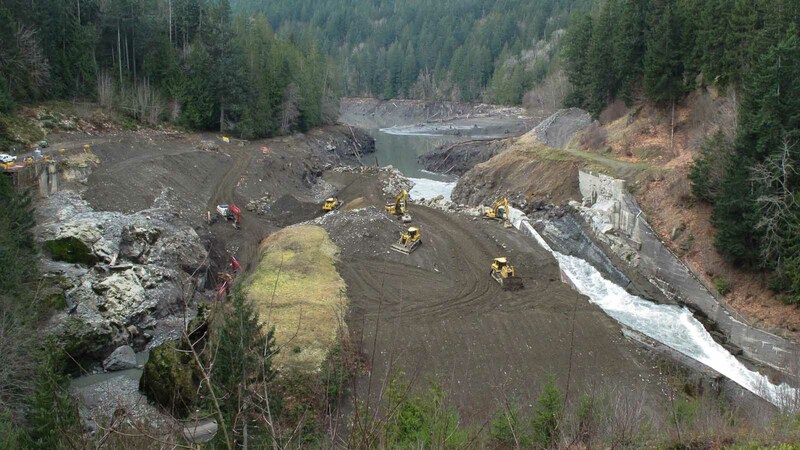 In 1992, Congress passed the Elwha River Restoration Act. 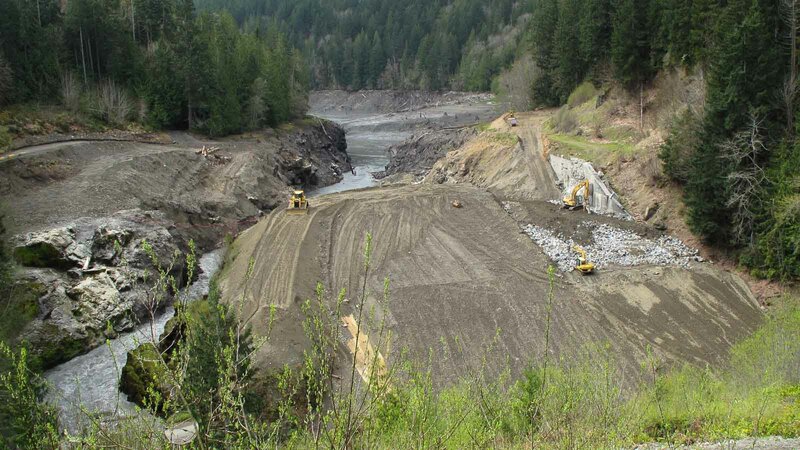 The law mandated the full restoration of the Elwha River ecosystem and its salmon. 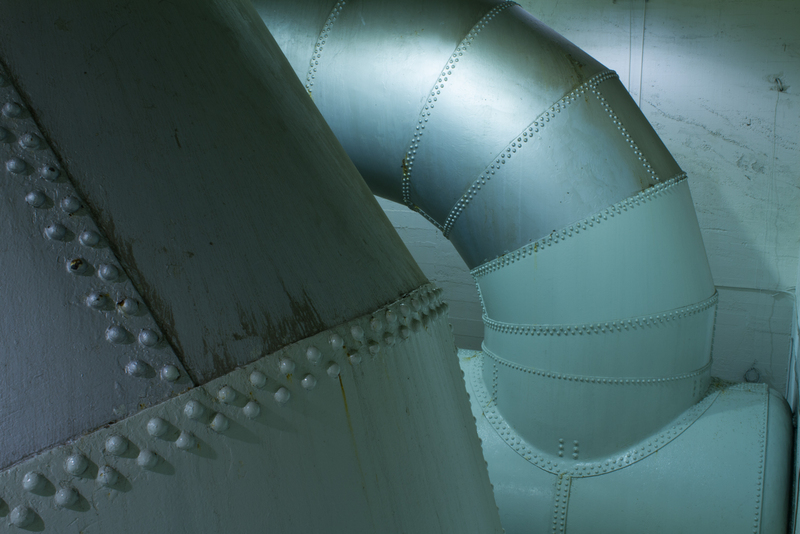 The $325 million project began in 2011. 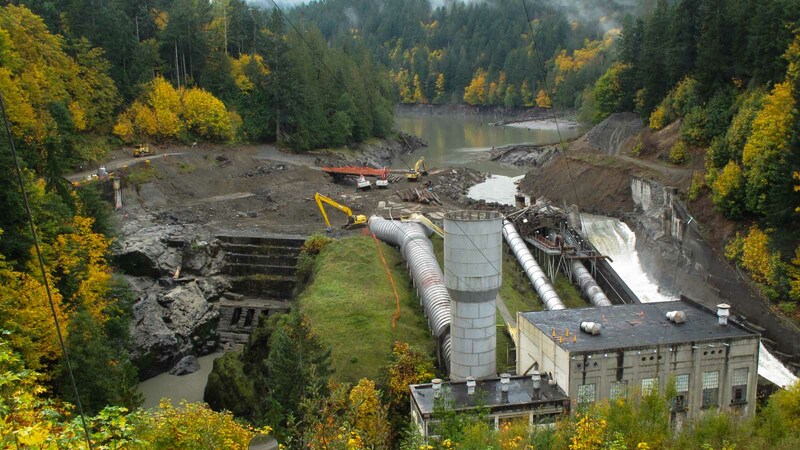 Elwha Dam was gone by summer 2012. 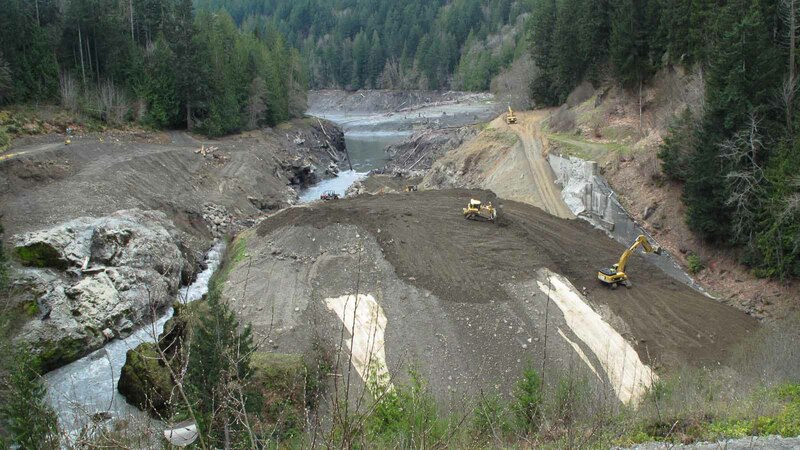 Glines Canyon Dam was gone by spring 2014. 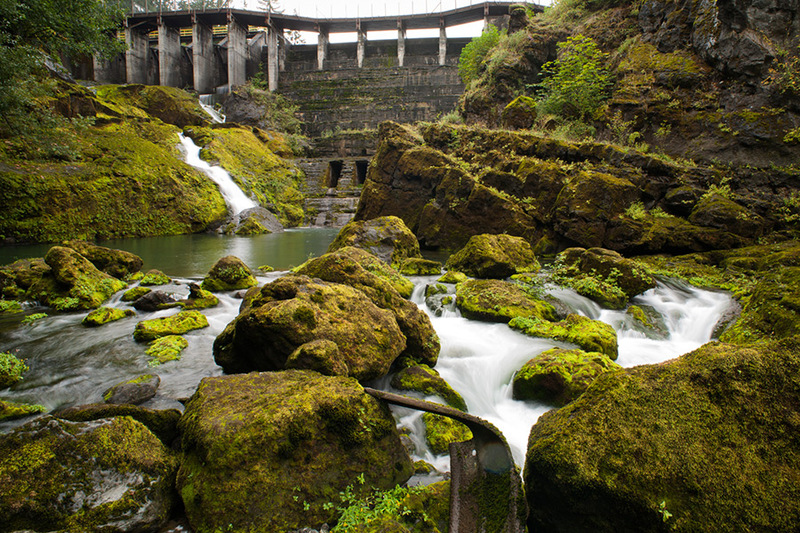 Eggs– Salmon begin their lives in the gravels of a river as eggs. 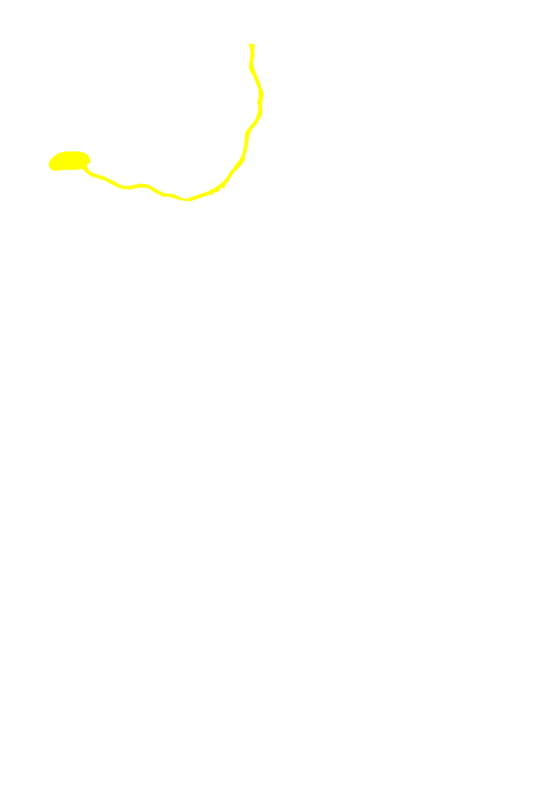 Fry– Fry emerge from the gravels. Each species behaves differently, but fry continue to grow in different parts of the river ecosystem. Smolt- Young salmon turn silver during the smolting process and head downstream for the open ocean.  Adult- Salmon species spend from 18 months to 8 years in the ocean. 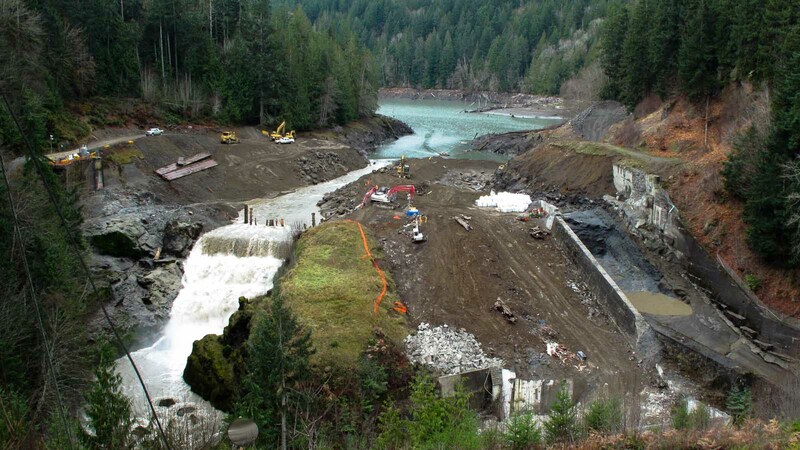 Spawning Adult– Salmon migrate back to the same river where they were born. They die after they spawn. 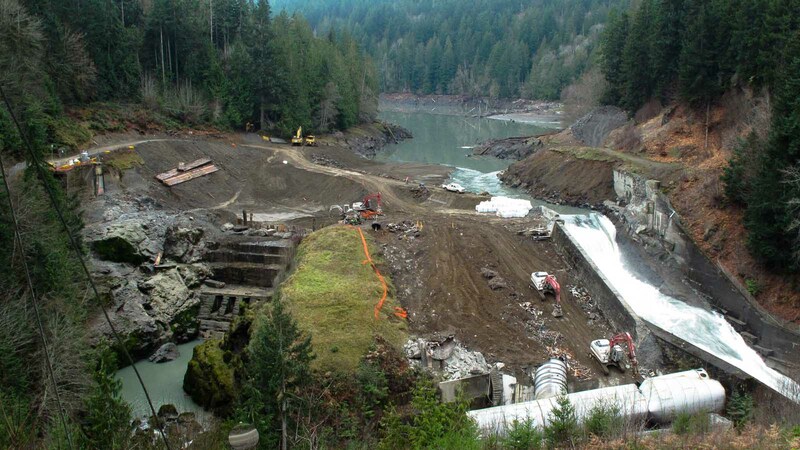 Most rivers in the Pacific Northwest only host a couple of salmon species. The Elwha River was once home to all five species of Pacific Salmon. Roll over each species to see their potential range once the dams are gone. Also known as King Salmon, Chinook are the largest Pacific salmon species. When Coho salmon return to spawn, their jaws and teeth become hooked. Sockeye salmon spawn in lakes and there was a small population that returned to Lake Sutherland. Pink are the smallest and most abundant species of salmon. Chum salmon are also known Dog or Keta salmon. 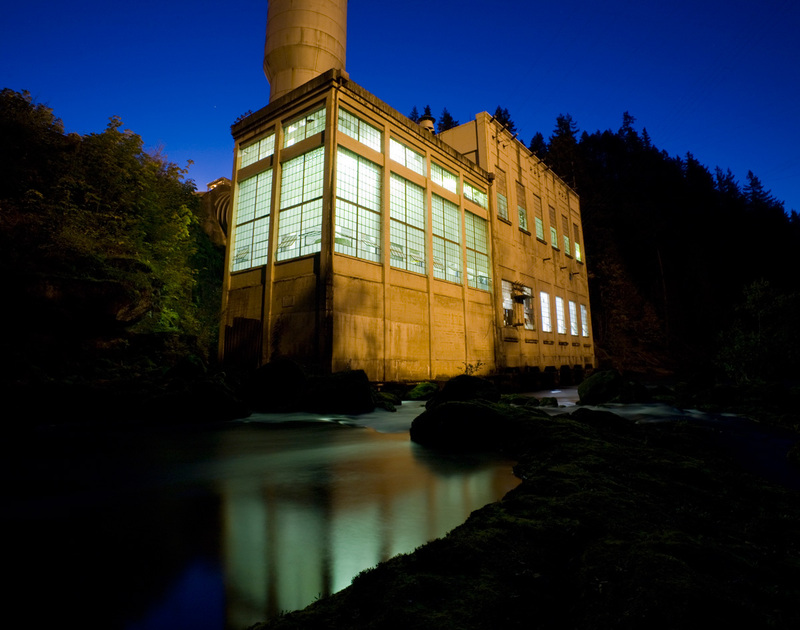 They have the largest natural range of Pacific salmon. 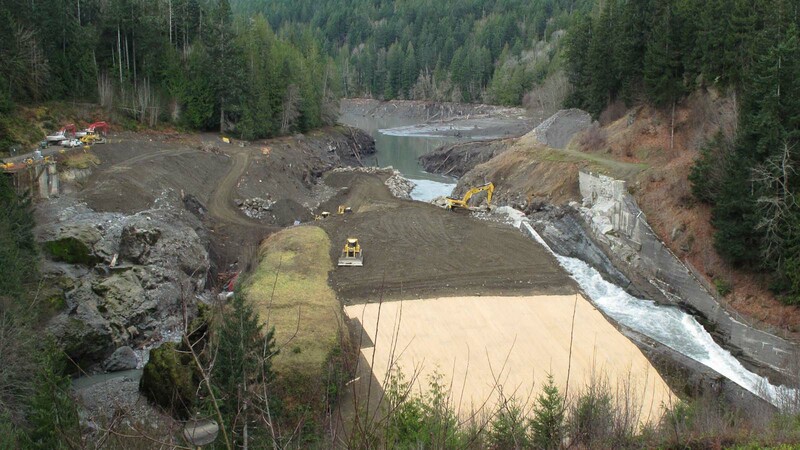 From high in the watershed all the way down to the nearshore environment, the removal of the Elwha River dams will transform the entire ecosystem. 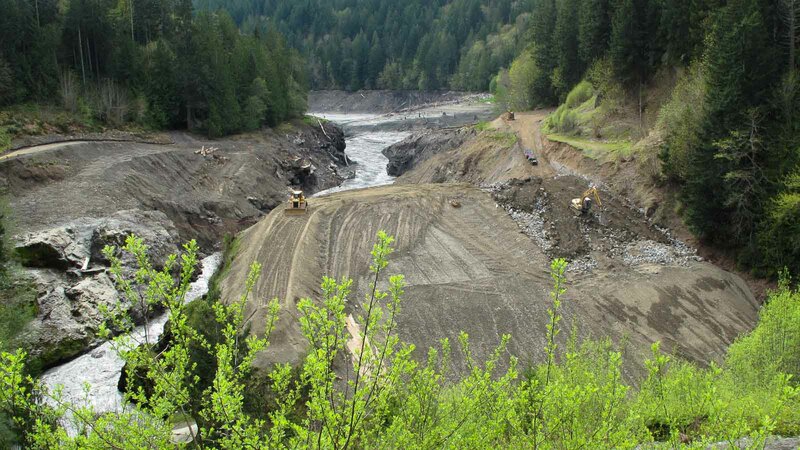 Restoration on a watershed scale provides scientists with a unique opportunity to study the transformation. 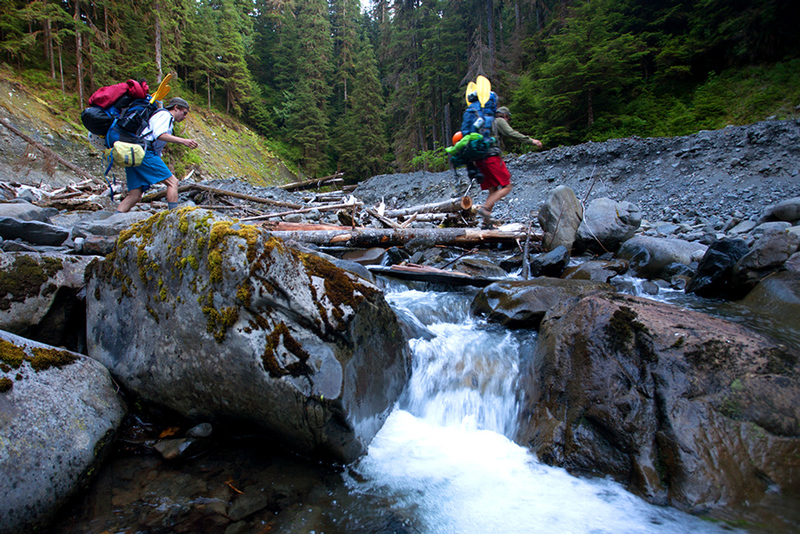 In August 2012, a team of filmmakers and paddlers set out to follow the Elwha River from source to sea. 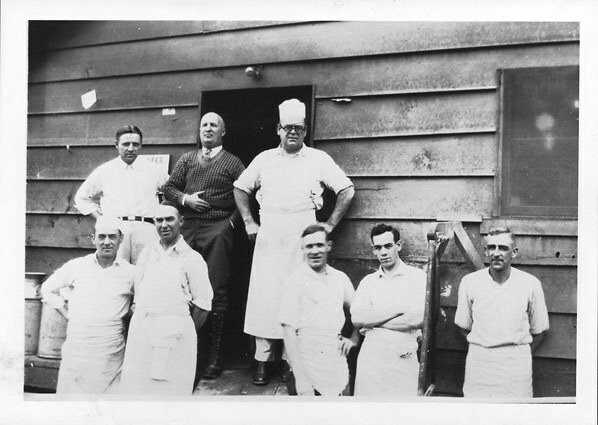 Over the course of three weeks, the crew paddled or portaged the entire length of the river. The crew used packrafts - small, light rafts - to float the river. They experienced the wilderness firsthand. 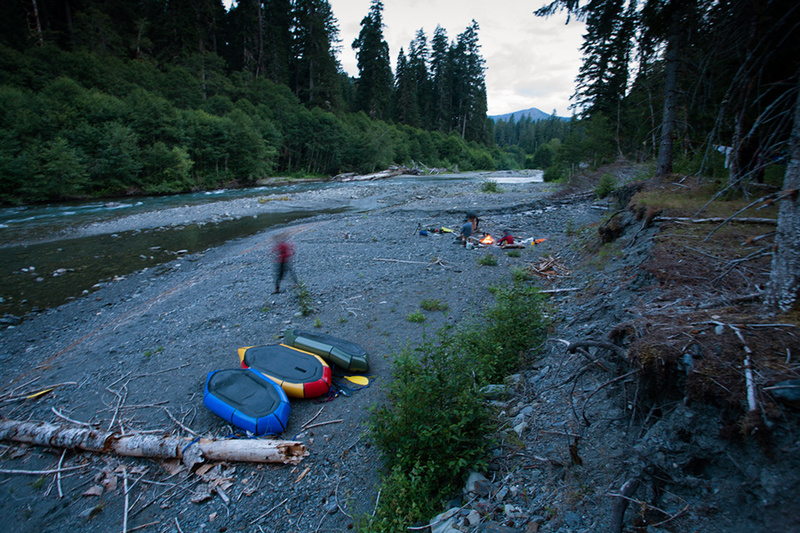 The journey began on the Quinault River, on the southwest side of Olympic National Park. 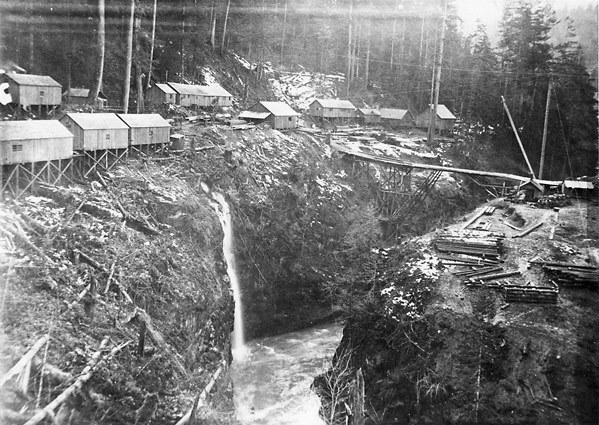 The Quinault was never dammed and offered the expedition a glimpse into what the Elwha might have looked like before the dams were built. We spent three days following the Quinault until finally it disappeared in the rocks and the clouds. 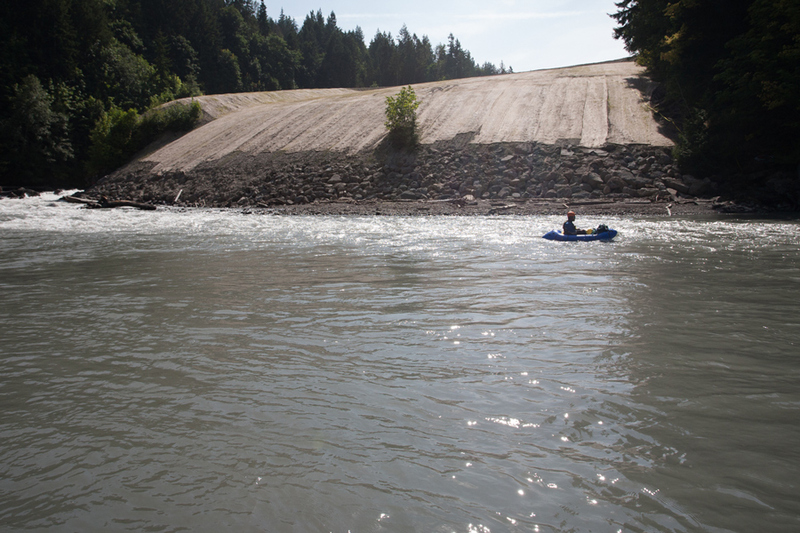 We crossed a saddle known as Low Divide and entered the Elwha watershed. 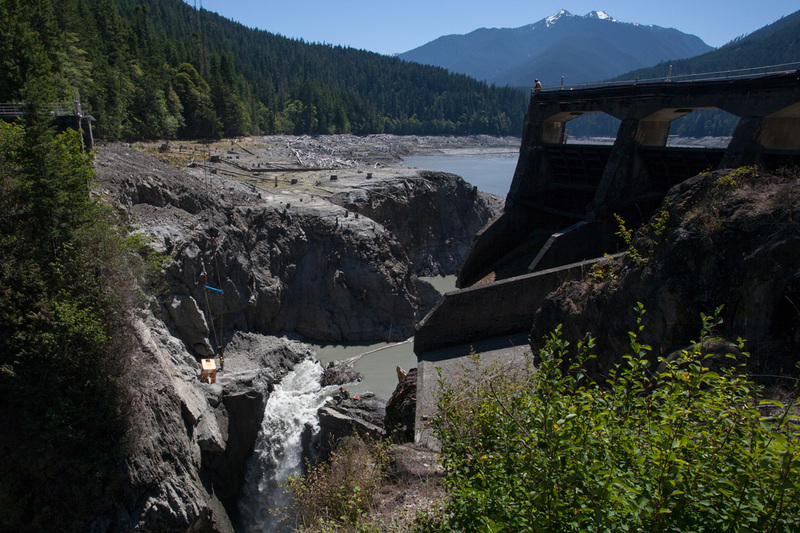 The Elwha River begins deep in the heart of the Olympic Mountains. 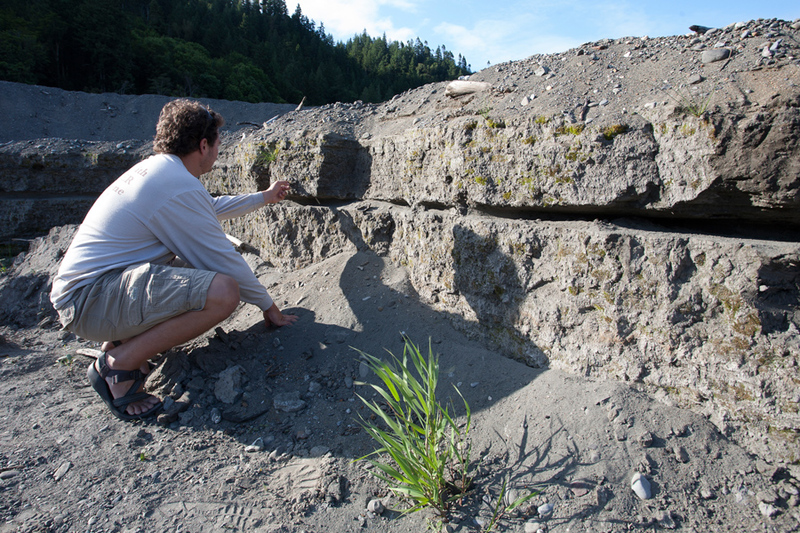 We arrived in the Elwha Basin late in the afternoon. Water cascaded down the rocks – runoff from year-round caches of snow tucked high on the mountains. 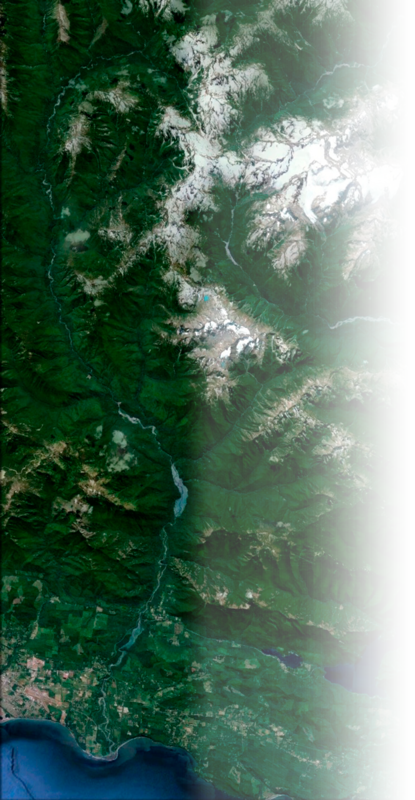 The upper Elwha River flows through a pristine forest. Loggers never made it that high into the wilderness and the area was protected after it became part of Olympic National Park. For the first few days on the river, we spent more time clamoring over deadfall than we did paddling. 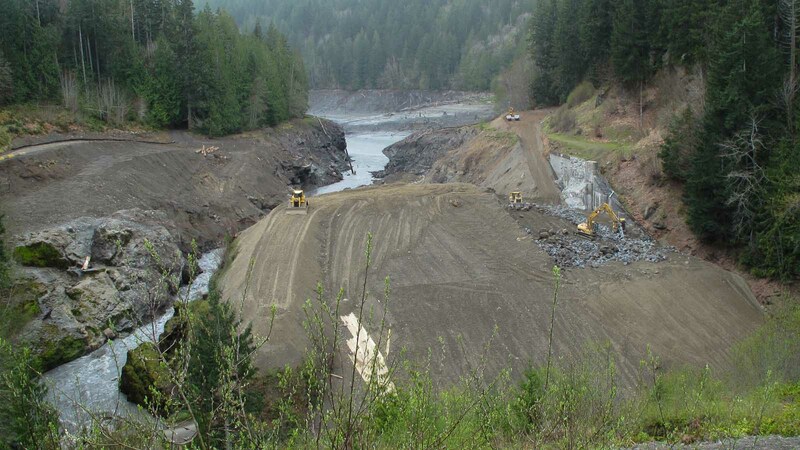 Logjams provide critical salmon habitat, however, and we were excited to see how much potential the upper river had to nurture salmon. 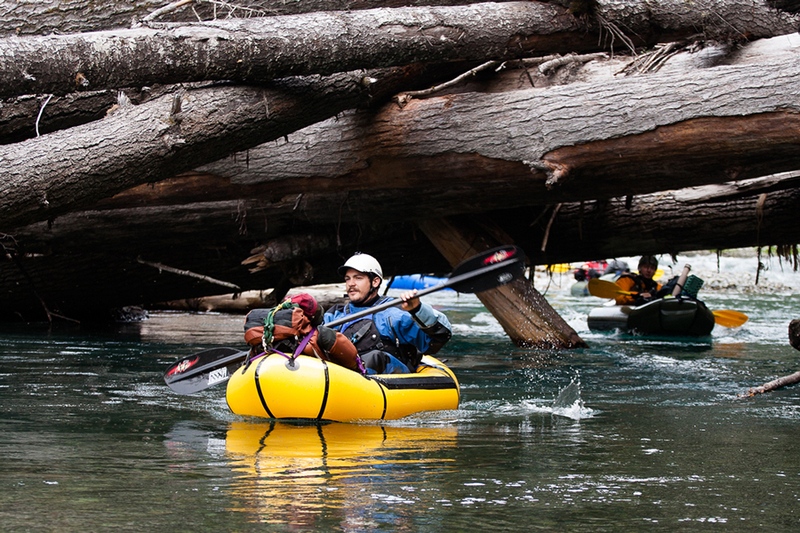 The Elwha River has two major canyons - the Grand Canyon and Rica Canyon - which for years have been a top-tier destination for backcountry kayakers. 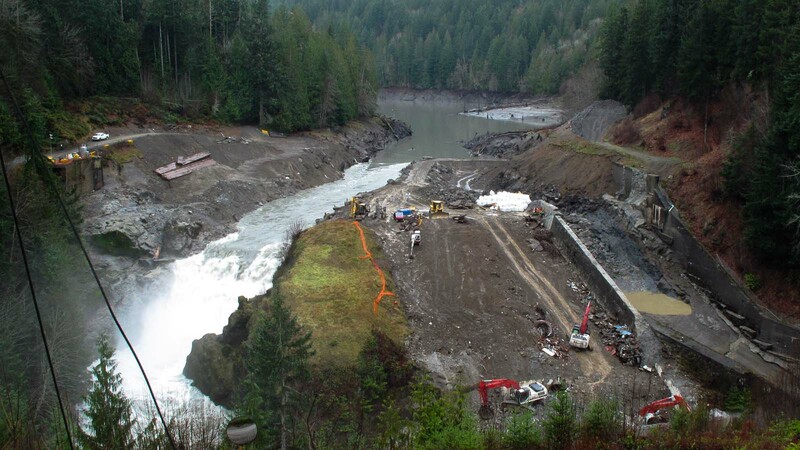 But no one had run the Elwha from its source. High in the watershed, we found two more small canyons. Packrafts are not designed for whitewater, especially when loaded down with a sixty pounds of gear. 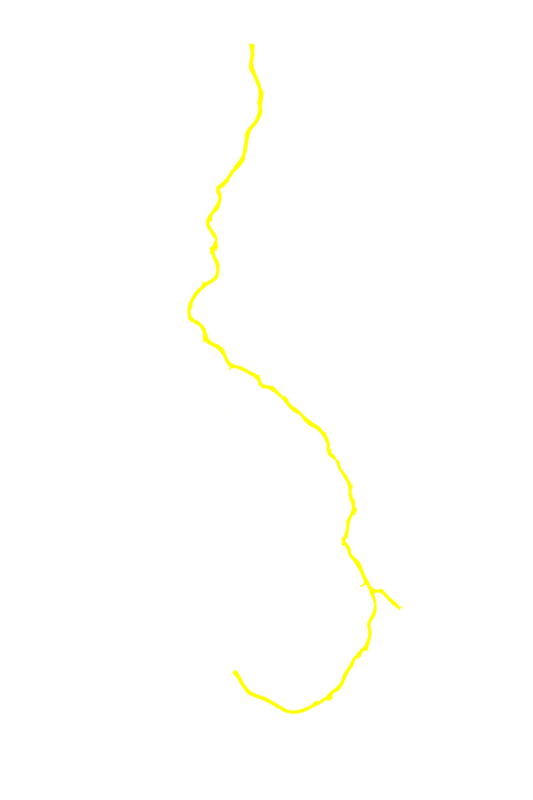 Our foray into the second canyon ended when we hit a series of rapids that would eat our packrafts whole. We spent our last night in the wilderness above the dams camped along the river. For the rest of the expedition, we experienced a very different kind of river. 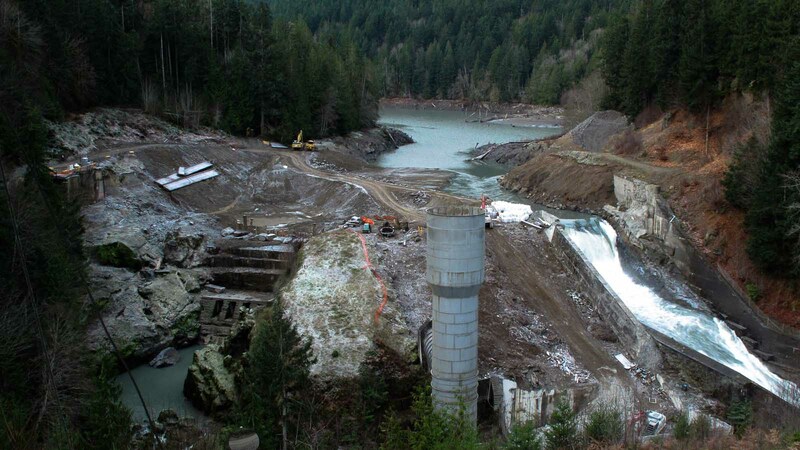 Above the dams, the Elwha ran gin-clear. 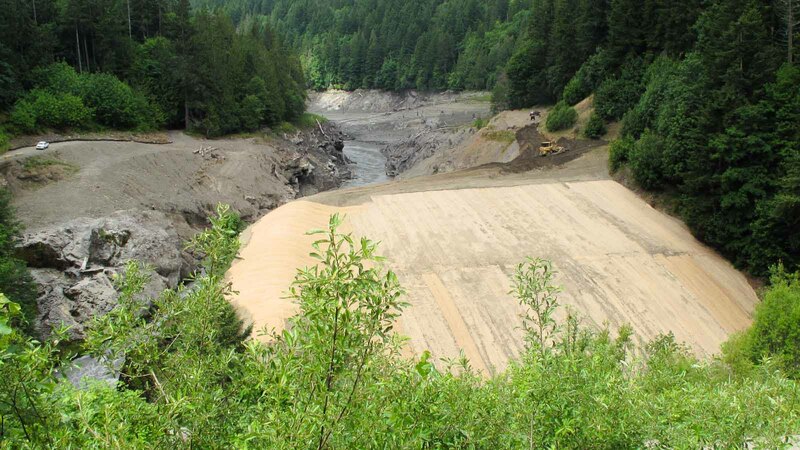 Below the dams, the river was thick as pea soup, choked with sediment and debris. 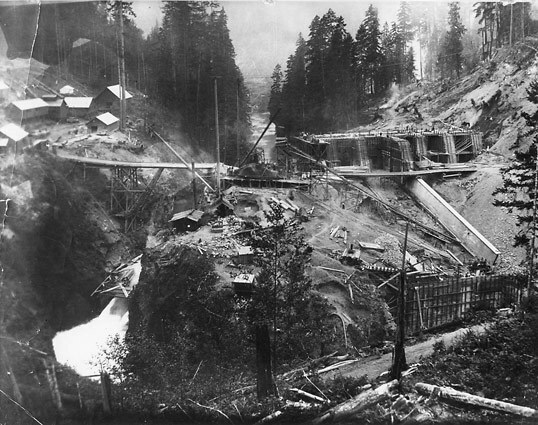 Glines Canyon Dam was scheduled to be demolished over the course of three years. 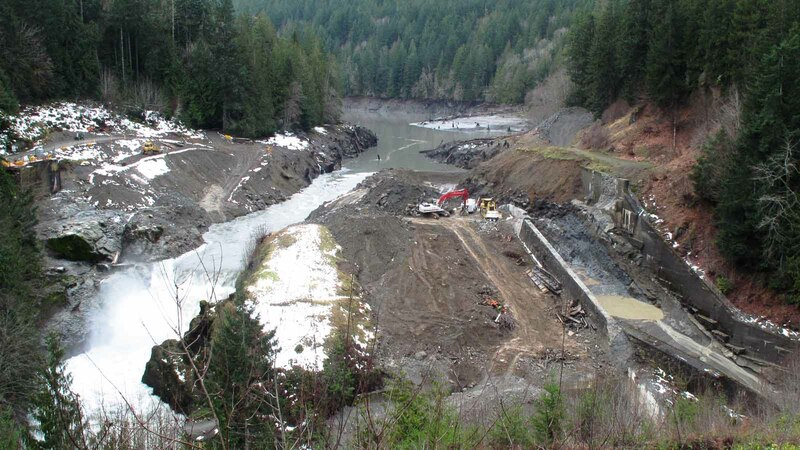 When we passed the dam in August 2012, only 60 feet remained. 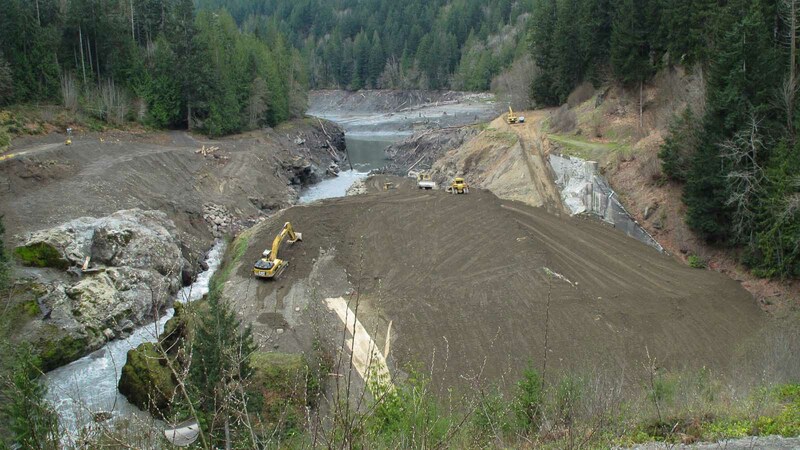 The dam was completely gone in May 2014, opening two thirds of the upper river to salmon migrating upstream. 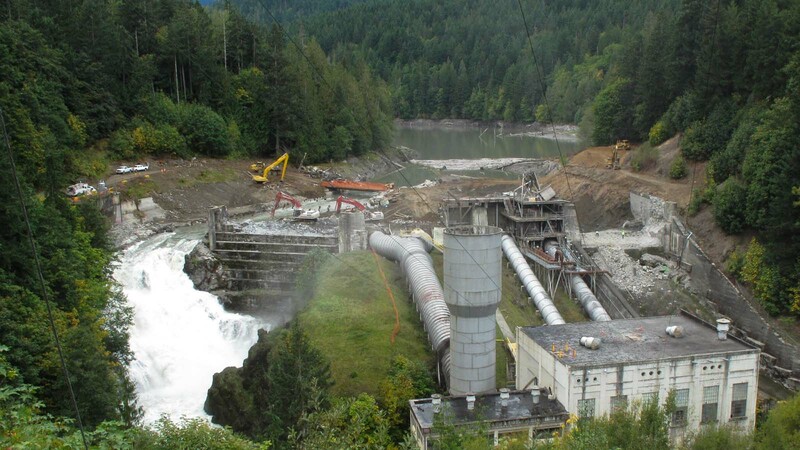 By the time the expedition started, Elwha Dam had already been torn down. 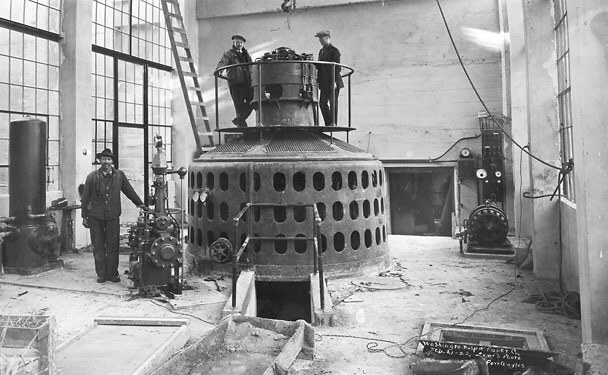 The reservoir it once held back – Lake Aldwell – had completely drained. Walking across the former lake bottom was like walking across a moonscape. All of our gear was soon covered in grey, ash-like dust that had collected on the bottom of the lake. 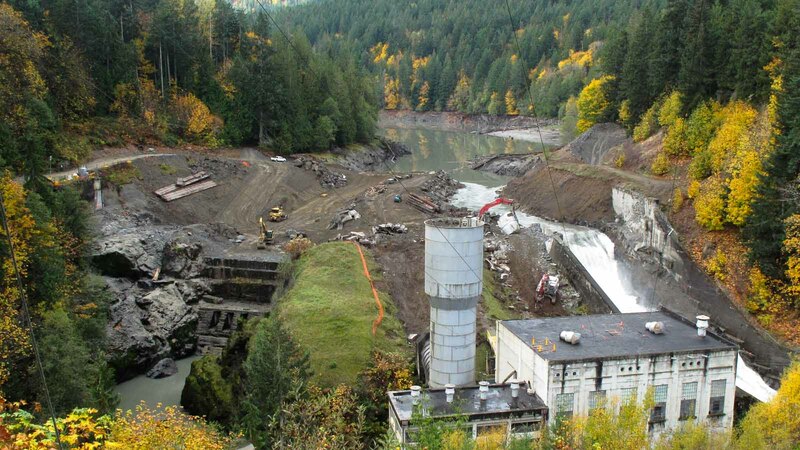 All that remained of Elwha Dam. We paddled underneath the massive, barren berm on our way down the final stretch of the river. Flowing free once again! Our final few hours on the Elwha were spent paddling against strong winds. We reached the Strait of Juan de Fuca in late afternoon as the tide was rolling in. We traded our view of snowcapped peaks for whitecaps wave and spent the final hours of the day trying to catch waves with the packrafts. Above the dams, we experienced a pristine wilderness. 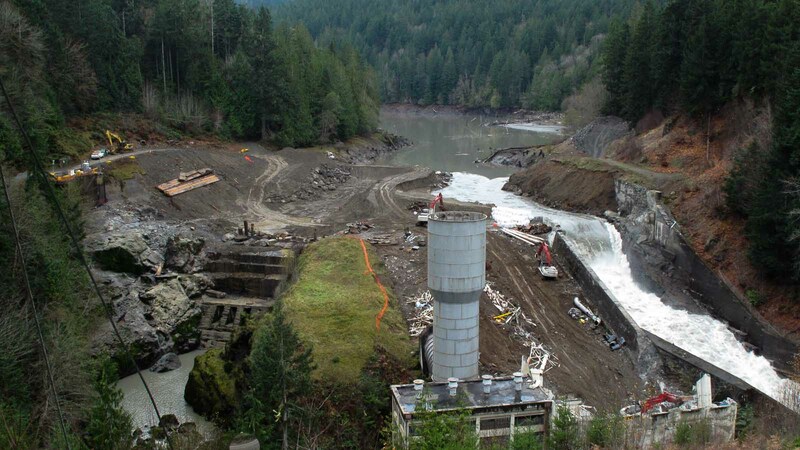 Below, the dams we saw an ecosystem in flux. But throughout our journey, there was one thing missing: salmon. 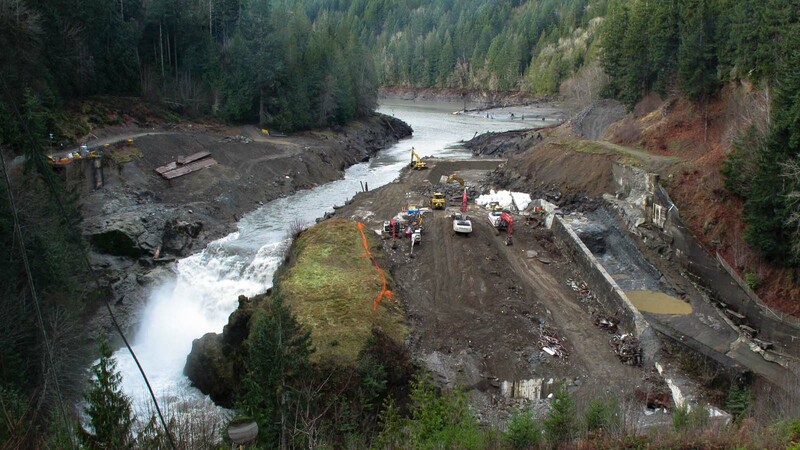 In August 2012 - during the final few days of the expedition – biologists from Olympic National Park were surveying in Little River and Indian Creek.There, holding in the current, they found several Chinook Salmon. 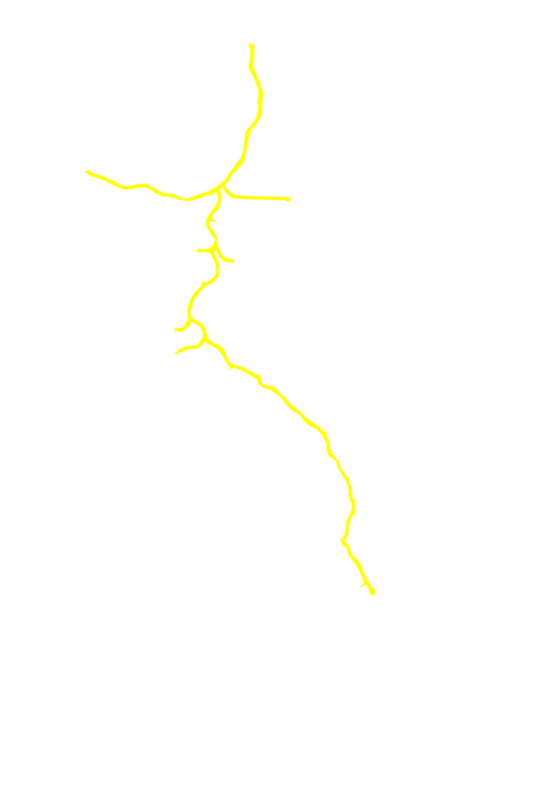 Both tributaries are above the Elwha Dam site. Salmon were beginning to find their way home. 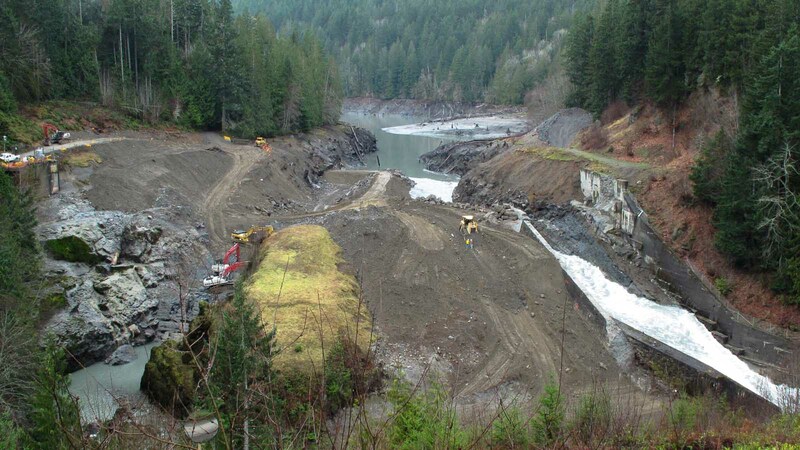 In 2012, the Chinook run that returned to the Elwha River was the largest in decades.